August 2018 marked the 70th anniversary of Babe Ruth’s death, but the popularity of this American icon – and Baltimore native son – lives on. 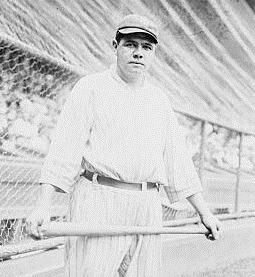 In 2017, MGS published an article on Babe Ruth's genealogy in the Maryland Genealogical Society Journal. It upends some old myths and traces Ruth’s family back to his immigrant Ruth great-grandfather and to earlier Ruth ancestors in Germany. You'll find more information about the Journal and how to submit articles for publication on our Publications Page.